The term "tiger" suggests stripes and these horses don't have them. They are characterized by leopard-like spots. Cave painting at Pech-Merle, France from the Upper Paliolithic era. 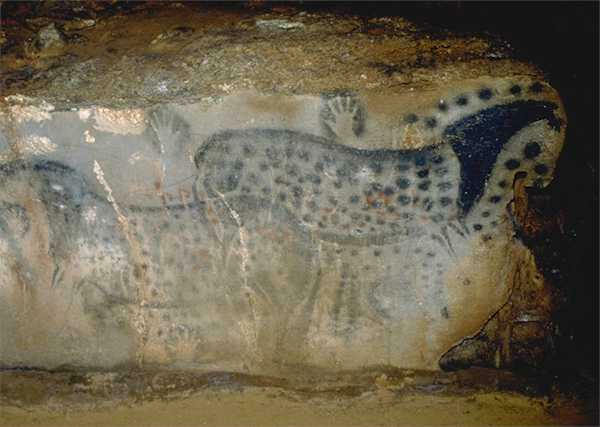 Pictures of "leopard horses" have been found in prehistoric caves and they were popular in Holland, Germany, Denmark, France and Austria during ancient times. The Spanish had no word for leopard, so they referred to them as "tiger horses," as the word "tiger" referred to any animal with distinctive patterns. In Spain, the most prized tiger horse was the Jennet. Large numbers of them them were shipped to the American colonies during the 1600s. The Ni Mee Poo or Nez Perce are a tribe of Native Americans whose territory then consisted of large parts of what are now the states of Washington, Oregon and Idaho. They acquired horses around 1700 and became selective breeders, something fairly unique among the north American tribes. Some hundred years later, they were visited by the Lewis and Clark Expedition in 1804. Merriweather Lewis wrote a rather detailed description of their unique spotted horses in his journal. In 1887, a war between the Nez Perce and the U.S. army resulted in many of their horses being shipped east. Others seem to have been scattered across the many tribes of the Pacific Northwest. 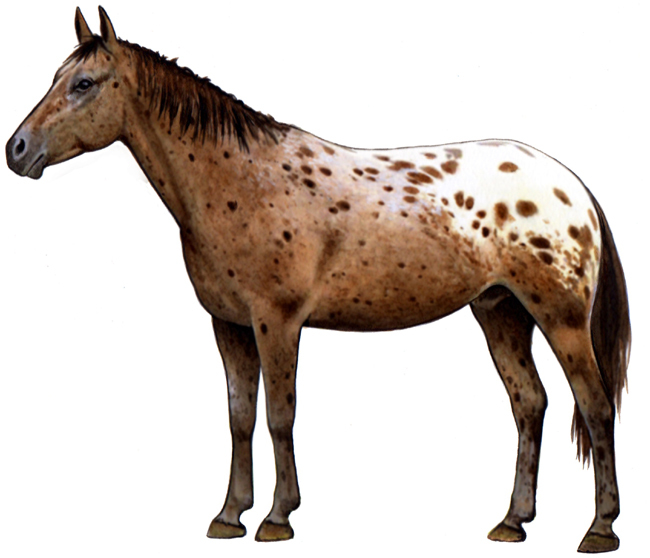 In 1938, Claude Thompson, an Oregon farmer, established a register to preserved the spotted horses.